In a Nutshell: You’re never too old to learn — especially about personal finance topics that seem to constantly shift and change focus in today’s technology-driven society. EVERFI takes its role as an educator seriously. The company provides 50 online learning modules to over 750 credit unions, schools, and select employer groups across the US. Topics covered include credit scoring and reports, financing higher education, opening checking accounts, and identity protection. EVERFI’s platform allows partnered institutions to private-label the modules to meet the needs, goals, and mission of each organization. Education is all about learning, growing, and improving. As a former teacher, I can tell you from first-hand experience that even educators learn from their own lessons. That sentiment extends to entrepreneurs, where every day is a learning experience. When a growing business focuses on educating others on important topics, like financial literacy, the symbiotic relationship can create growth for everyone involved. A prime example of this is EVERFI, a leader in online financial education modules that partners with more than 750 US organizations, financial institutions, and educators. If you’ve ever searched a credit union’s website to learn about a topic, there’s a good chance you viewed an EVERFI module. But the company didn’t start out with such a diverse user base. EVERFI has since traded in the RV for its Washington DC-based offices, where it curates, distributes, and disseminates 50 learning modules on topics ranging from checking accounts to improving a credit score. Some of the world’s leading CEOs and Venture Capital firms — names that include Jeff Bezos of Amazon, Eric Schmidt of Google, and Evan Williams, co-founder of Twitter — believe so strongly in EVERFI that they’ve invested in the company. “They’ve allowed us to really build out our financial capability network, where we empower education for students, members of credit unions, and select employer groups,” Martinez said. If you’re one of the few people who hasn’t heard of EVERFI, it could be because the company enables partnered institutions to private-label the software to reflect their mission, values, and goals in communities they care about. Member institutions have access to the breadth of modules created by EVERFI, as well as a host of tools and calculators that expand learning beyond the lessons. These tools improve learning outcomes and support consumers of all ages who want to set better goals and create a clearer path to financial freedom. EVERFI modules aren’t limited to the basic ins and outs of daily banking. Users can learn about personal finance, running a small business, or homeownership all from the comfort of their home — or anywhere else with an internet connection. EVERFI caters to learners of all types, offering auditory instruction and kinesthetic lesson opportunities in a gamified setting that makes learning more engaging. The anonymized tracking collects no personally identifiable information. Instead, EVERFI focuses on pinpointing which modules are most popular and what topics are most interesting to the millions of users who access the courses each year. “What we care about, as an education company, is that we are really driving knowledge gains and are moving the needle on what actions people are taking and how the lessons impact long-term behaviors,” Martinez said. 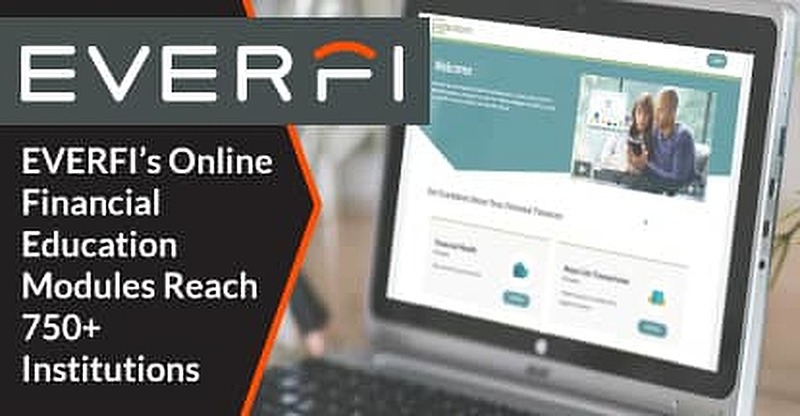 Financial institutions partner with EVERFI to offer education modules to their members and get access to 50 current lessons offered on the platform. The company and its partners vet, test, and approve every lesson over time. 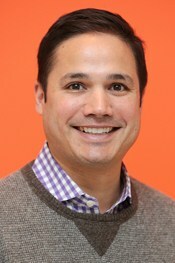 Ray Martinez, EVERFI’s Co-Founder and President of Financial Education. Martinez said the most popular modules include lessons on credit scoring and reports, financing higher education, opening checking accounts, and identity protection. The company remains engaged with its user base and partnered institutions and always looks for new topics to add to the curriculum. EVERFI’s platform is quickly scalable to clients’ needs and includes subscription packages curated to meet each institution’s goals. EVERFI’s mission since its January 2008 founding is to bring financial education back into classrooms and living rooms across the country. In the 10 years since that mission began, the lessons have broadened and the audience has grown from teenagers to learners of all ages and stages of their financial lifecycle. Credit unions turn to EVERFI to help their members cultivate new financial skills and learn ways to improve themselves. EVERFI takes that responsibility seriously and aims to continue on its path of providing timely and necessary information for consumers.